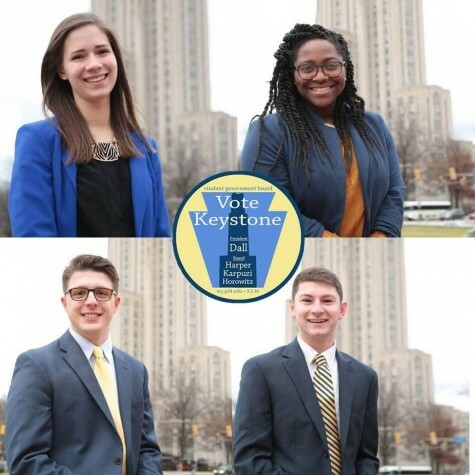 Pitt’s Student Government Board elections this March will mark the end of the longest SGB term in recent history. After passing a referendum in October 2014 to align its term with the academic year rather than the calendar year, the current Board took office in January 2015 and will serve until May. The adjustment period gave this Board an extra semester of service. Now, two presidential candidates and eight Board candidates are running on three slates for nine open seats — eight Board seats and the presidency. When it’s all over, all of the Board candidates will win their seats, and one of the presidential candidates will be sent home. Natalie Dall, a junior microbiology major and current Board member, decided that her work on SGB was not finished. “In the last few months, I kept identifying more things I wanted to work on,” Dall said. 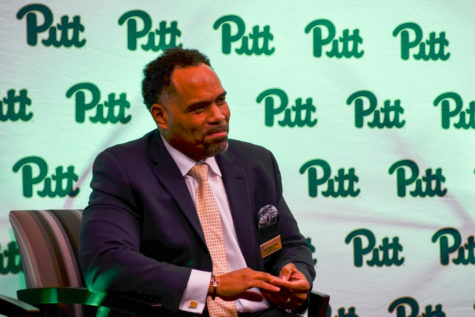 Dall said she chose to run for the president’s position because she may need presidential authority to accomplish her initiatives, which include reviewing Pitt’s sexual assault policy and increasing accessibility to victim resources. This fall, Dall worked to improve student advising by looking into new ways to match advisers with students with a feedback survey for advisers. Last week, Dall and Board member Lia Petrose released a survey to elicit more student opinions on undergraduate advising. 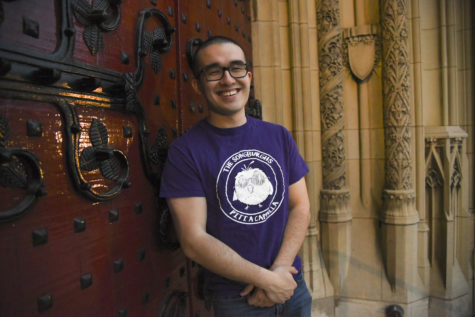 Justin Horowitz, a sophomore marketing and global management major, said he wants to make textbooks more accessible to students, find more study space in Hillman Library and encourage collaboration among Pitt’s hundreds of student groups. Horowitz, the current president of the Interfraternity Council, proposes moving some books currently in Hillman library to archives, such as the University Archives Service Center, so they will still be accessible to students and the University can make more study space for students. 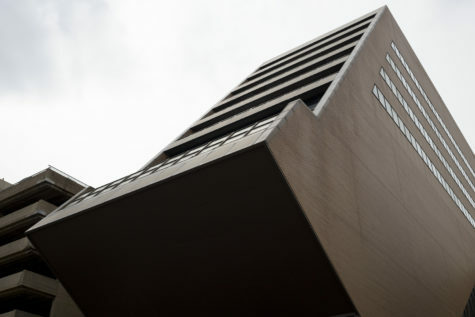 Horowitz also wants bring a relaxation lounge to Hillman. “I think it’s crazy that it’s so hard to find study space, especially during finals week,” he said. Horowitz also plans to introduce a program to encourage professors to find and use free PDF versions of textbooks for classes. Horowitz said the program would cut down the cost of students’ books. If elected, Horowitz said he plans to start by creating a student petition in support of the program and meeting with the administration to start designing and using the program. According to Horowitz, SGB should also use funding to incentivize student groups to collaborate for events. 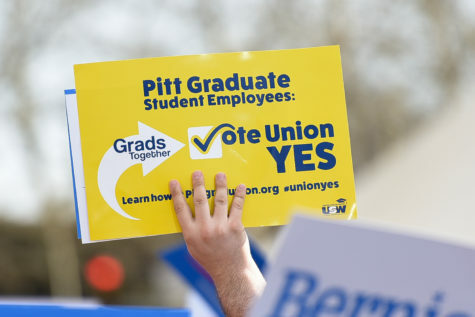 Sydney Harper, a junior political science and communications major and former multimedia editor for The Pitt News, said she wants to establish an alumni database for students to connect to professionals in their field. Harper said she also wants to form an outreach committee on SGB to promote communication between the student body, smaller student groups and SGB. Arlind Karpuzi, a sophomore finance and economics major and SGB’s current chief of staff, said he wants to start small by continuing to revamp student affairs calendar on Pitt’s website. If elected, Karpuzi said the slate would work on ways, like forming its outreach committee, to increase SGB’s visibility on campus. “The entire slate wants students to know what SGB can do for them,” Karpuzi said. As president, Matthew Sykes, SGB’s current chief of finance, said he would continue focusing on improving mental health awareness and services at Pitt and would work to create a mental health program specific to first-year students. He also said he wants to make Student Health Service more accessible, in part by finding ways to decrease waiting times for counseling appointments. 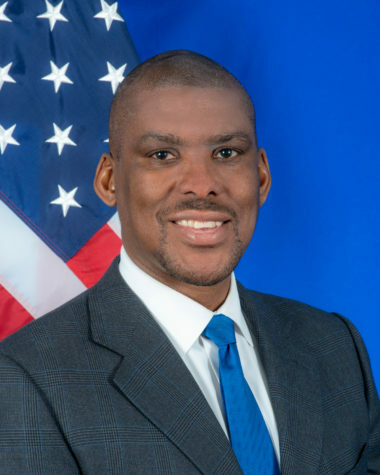 Sykes said he would work with Residence Life to introduce and implement Kognito, a web-based training program for resident assistants to help train them in identifying at-risk students. 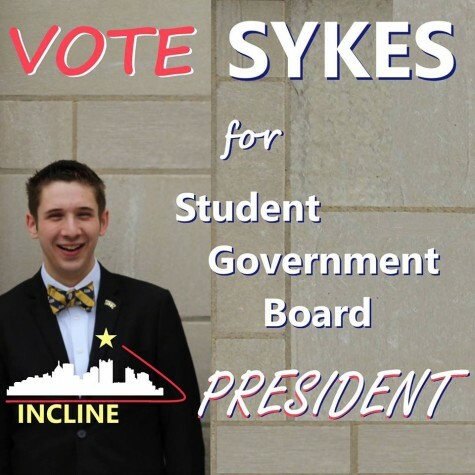 Sykes is a senior industrial engineering and sociology major, but will stay at Pitt for a fifth year to complete his degree. Samantha Jankowitz, a junior business and history and philosophy of science major, said she’ll focus on transparency as well as safety and transportation, starting by reforming SafeRider. She said students should be able to use SafeRider even if they are very close to a bus route, which is not currently allowed, according to Panther Central’s website. Jankowitz said her experience on Pitt’s Panhellenic Council, a national sorority organization, familiarized her with the allocations process and SGB. “We want to make sure people are comfortable coming up to Board members on campus and going through the allocations process,” she said. Max Kneis, a sophomore finance and accounting major, joined the Allocations Committee his second week of his first year at Pitt. 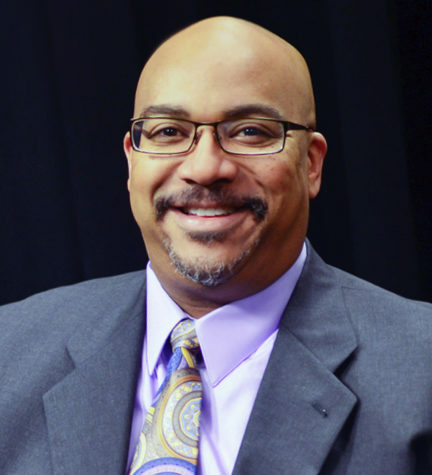 By his second semester, SGB named Kneis vice chair of the Allocations Committee. 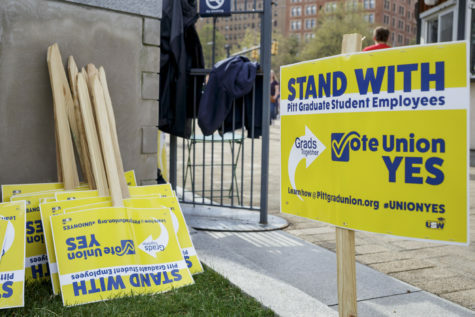 Similarly to Jankowitz, Kneis said he wants to help student groups use the allocations process and other SGB resources, such as the Reservations Office in the William Pitt Union, to their advantage by helping them organize and lead. Kneis also said wants he to reorganize exam week to add a reading day and prevent short breaks between exams. Thirteen out of 15 ACC schools have a reading day — a free day before exam week with no classes or exams planned — and Kneis said he wants Pitt to implement one to lower students’ stress levels. “With tests and papers due the week before, it can be really tough to recap information for exams,” Kneis said. To reform exam scheduling, Kneis said he’ll introduce a policy that permits students to request exam time changes if they have more than two exams within a 24-hour period. The current policy permits a change if they have more than two exams on a calendar day. Joseph Kannarkat, a sophomore neuroscience and math economics major, said he wants to work to get Pitt to release the results of the OMETs. Doing so, he said, could hasten the changes that might come from students’ feedback. Kannarkat also said continuing Board member Petrose’s public health certificate initiative is at the top of his list. 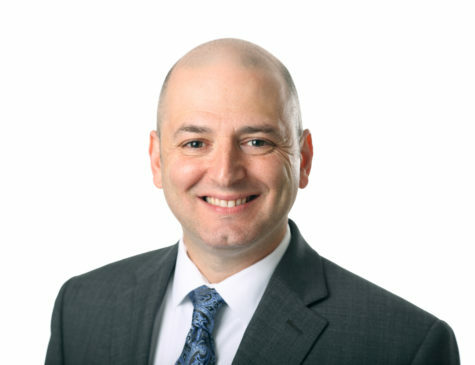 Kannarkat began working with Petrose through his position as business manager for the American Medical Student Association. Alyssa Laguerta, a sophomore microbiology and sociology major, said as president of the Asian Students Alliance, she considers herself a cultural leader on campus and hopes to promote diversity at Pitt if elected to SGB. 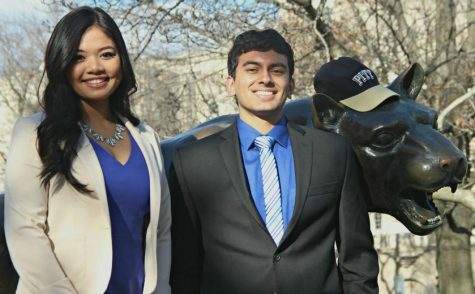 According to Laguerta, she and Rohit Anand, a junior neuroscience and psychology major, have a growing list of 57 small initiatives related to health, awareness, transportation and safety — H.A.T.S. Laguerta also said she’ll raise awareness about the Student Health Service programs at Pitt and take a closer look at how the University distributes the Wellness Fee, which is currently $210 per year for a full-time student. 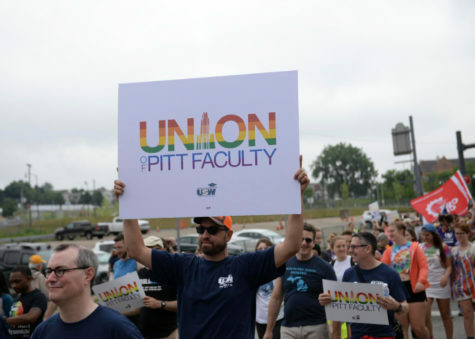 She said she wants to ensure that health resources are equally accessible to all of Pitt’s populations, including female LGBTQ+ students. The H.A.T.S. Slate also wants to focus on increasing study spaces on campus, creating a program that helps students schedule classes and reducing Saturday exams for students. Anand said his experience as chair of the facilities and transportation committee helped him understand how to make changes at the University. 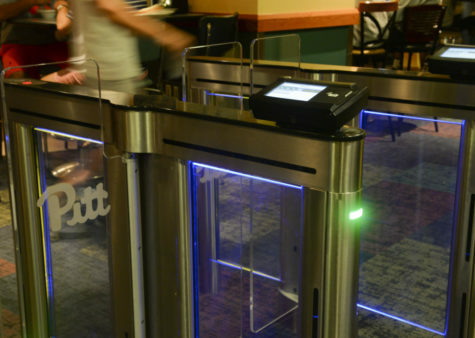 At that position, Anand helped to extend finals study hours, add hydration stations to Trees Hall and Bellefield Hall and make Pitt more bike friendly. He said he’ll use this experience to work on making lasting changes at Pitt.